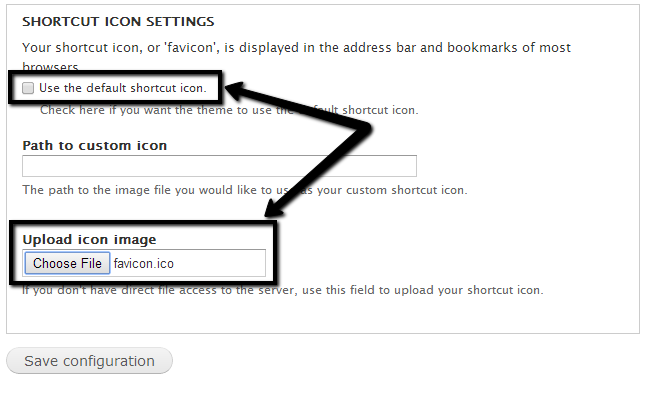 This tutorial will review the process of changing the favicon image on your Drupal website. This will make your website look more professional as it will remove the default Drupal favicon image and place one on your own. The first step is to create your favicon image. For this purpose, it needs to be 32x32 pixels. When you create the image, you need to convert it into .ico format. There are a few online tools that can assist you on that. First you need to log into your website as administrator and then click on the Appearance button from the top menu. 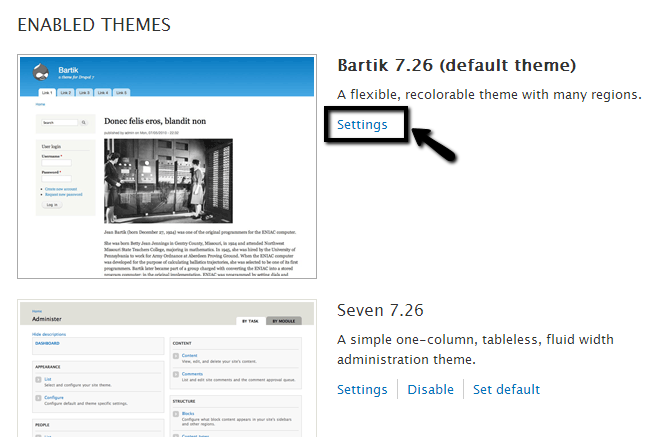 Click on the Settings button next to the default theme on your website. In our case, this is Bartik 7.26. Scroll down to the Shortcut Icon Settings section on the new page and uncheck the Use the default shortcut icon option. Then click on the Choose File button to upload the new favicon. Click on the Save configuration button to keep the changes. To view them after that, you will have to completely clear your browser’s cache memory and then access your website again. The new favicon will appear normally after that.